Hooniverse recently asked the question of visitors “What would you buy”? 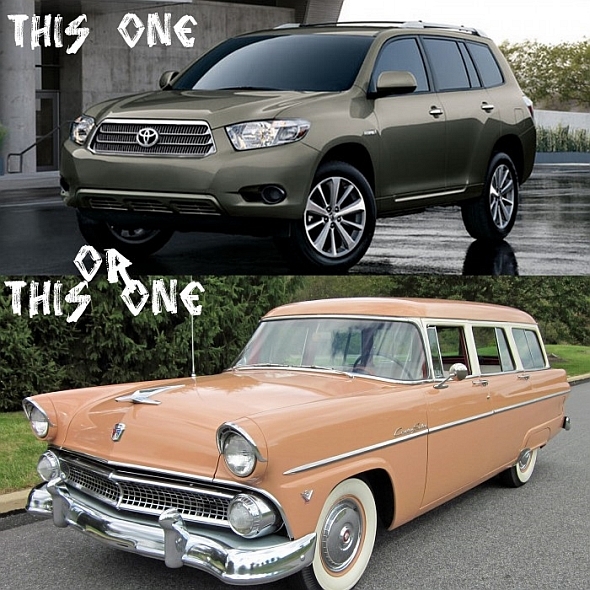 One post compared the differences between purchasing a Toyota Highlander or a 1955 Ford Country Sedan. The post outlines how both cars can be purchased for roughly the same amount of money. The Highlander offers anonymity in traffic or parking lots, while the Ford gives you the attention of everyone that you pass. 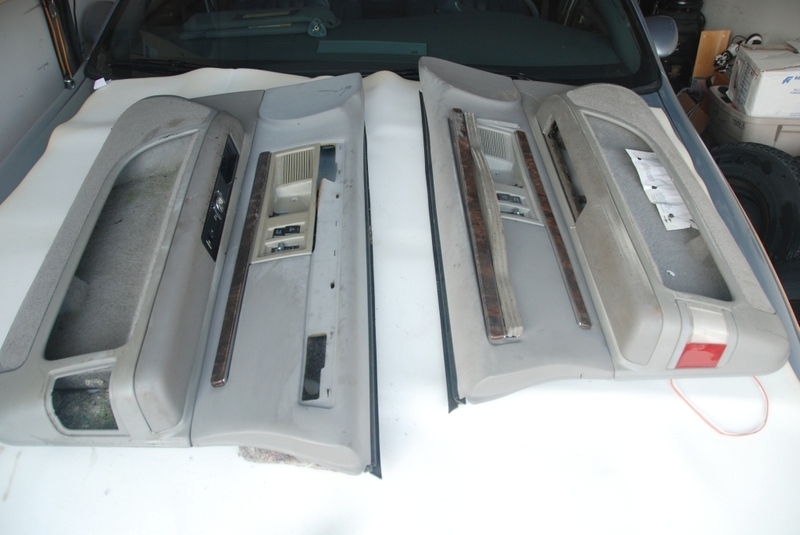 While parts might be scarce for the Ford, they’re certainly no more expensive than those for the Highlander and since the Ford has already been around for 50 years, there are some 3rd party options for parts and servicing is pretty simple. I love the idea of driving something that’s a little bit different and stands out. For me this is a no-brainer, the Ford wins hands-down, although I may wish to drive something else in the winter. What about you? tengo una ford country 1955 motor v8 272.y realmente es una bestia corre como cohete en salida he dejado en verguenza a muchos autos modernos.